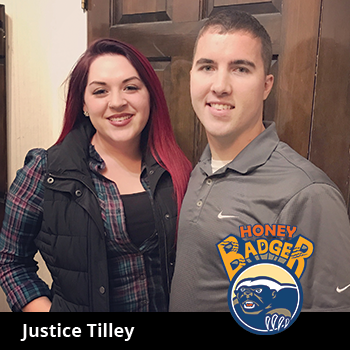 Congratulations to Vince Rosan and Justice Tilley, our newest Honey Badger award winners! Each month, LiveRez employees nominate team members who exemplify the culture and DNA of LiveRez, and winners take home the coveted Honey Badger award. 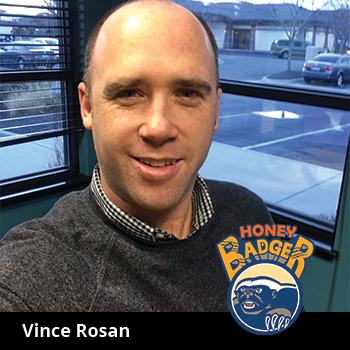 Let's learn more about this month's Honey Badgers! Vince Rosan is one of the stars of our sales team, working hard to grow the LiveRez family. He says his favorite part of being on team LiveRez is that we constantly get to tackle new challenges and then celebrate our accomplishments. He loves taking advantage of the countless outdoor activities the Pacific Northwest has to offer. While he loves snowboarding and fishing, he says his true joy comes from being a father and living vicariously through his two sons and daughter. Our support wonder woman, Justice Tilley, joined Team LiveRez earlier this year after graduating from the University of Idaho, where she was a member of the Pi Beta Phi sorority. One thing we love about Justice is her eye for creativity, both at work and outside the office. She loves crafting, especially using old wood windows, and looks forward to whipping up delicious dinners every night after work. And, we’ll admit, the leftovers make us pretty jealous!